Blog DWAA Writing Competition Is Open! DWAA Writing Competition Is Open! The Dog Writers Association of America’s annual writing contest is open for entries! 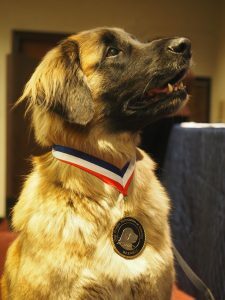 Journalists, authors, bloggers, photographers, illustrators and editors can compete in a variety of categories for the coveted Maxwell Medallion, named for dog writing legend Maxwell Riddle. The DWAA Annual Writing Contest opened July 9 and closes Sept. 7, 2018. Finalists will be announced in early December on social media, with winners announced at the awards banquet the evening of Sunday, Feb. 10, 2019 at the iconic New Yorker Hotel in Manhattan. Keynote speakers include NBC correspondent Jill Rappaport, host of Animal Planet’s “Dog Bowl,” and renowned radio host and pet journalist Steve Dale of Steve Dale’s Pet World. Entrants can also compete for a whopping $15,950 in special awards. For more information or to enter the contest, visit: dogwriters.org.